Believe it or not, I’ve never stripped corn to get fresh kernels… until today. I came across a recipe for linguine with fresh vegetables, which included corn, and although it looked delicious, I’ve been veering away from pasta as of late. So, I thought I’d make the corn and either eat it solo or add it to a salad. 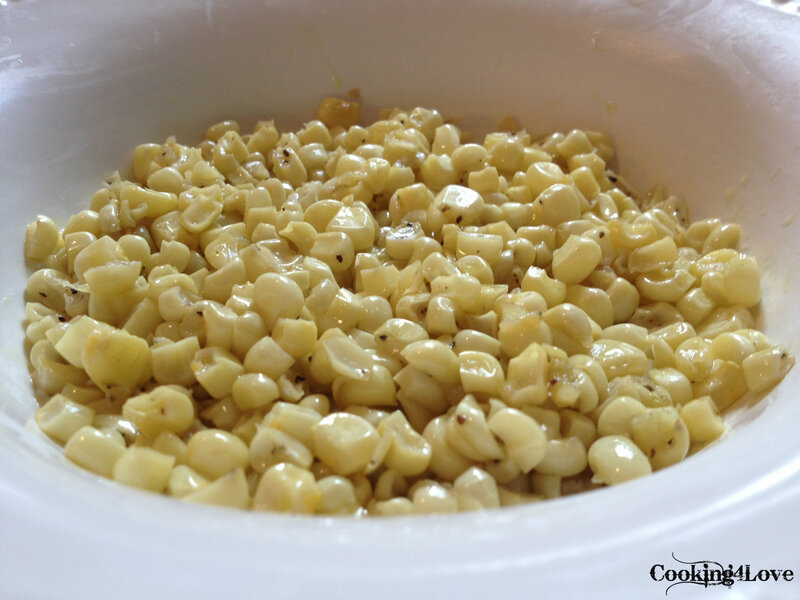 This is a quick and easy recipe, which yields super yummy corn! Remove the leaves and “silk” from the ear of corn, then chop off the pointed top and stalk. Use a sharp knife to shave off the kernels — either stand ear upright on its base and shave downward, or lay on its side on a cutting board to slice off the kernels. Add corn, garlic and salt and pepper to pan. Cook, stirring occasionally, for approximately 3-5 minutes until tender. This entry was posted in Recipes, Side Dishes, Vegetarian and tagged corn, fresh, garlic, off the cob, olive oil, quick. Bookmark the permalink.